South Rockies Grizzly Bear Project is located in the South East corner of British Columbia, Canada. The study area, which encompasses two grizzly bear population units (GBPUs) and covers an area of 11,737 km², sits within the Crown of the Continent Ecosystem (CCE). The CCE is internationally recognized for its biodiversity. The Flathead valley, as part of the CCE, is “unmatched for the variety, completeness and density of carnivore species that live and breed there.” (CPAWS, 2017) in all of North America. 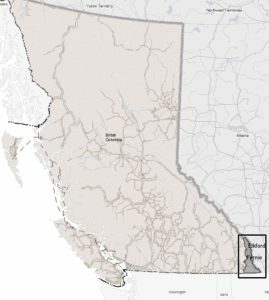 Our study area stretches from the Canada-US border in the south to the height of land between the Elk and White rivers with the Kootenay and Palliser rivers in the north. The eastern border is the British Columbia-Alberta boundary, and to the west the study area is bordered by the Rocky mountain trench, which is primarily agricultural land, and does not support a year round population of bears. Human development includes 3 towns and several villages, a ski resort, 5 coal mines, extensive logging, and agriculture mainly along the western boundary. Major highways and railroads occur on the western boundary and along the Elk river. 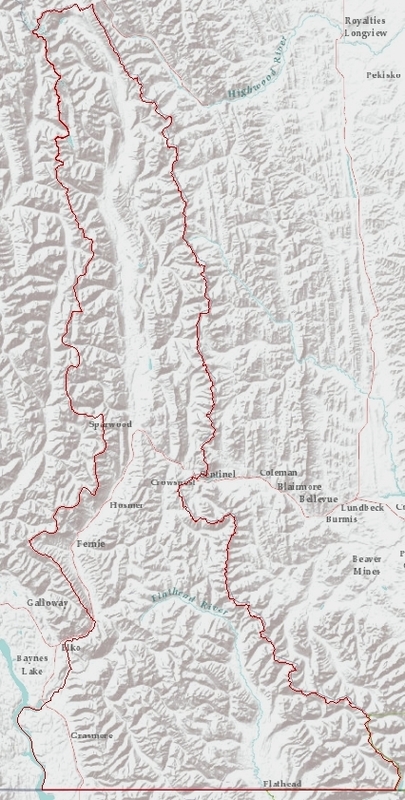 The Flathead valley contains no permanent settlements and the northern portion of the study area also has low human presence and two large provincial parks. The ecosystem we work in is of global importance because the multitude of habitats within the mountainous ecosystem have led to high biodiversity of plants and animals. There are over 1000 species of plants and wildflowers within the Flathead valley. 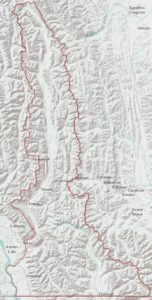 The Flathead valley itself is one of the last unsettled river valleys in southern Canada. The CCE contains the highest diversity of large carnivores in North America and remains a highly important area for fish and wildlife extirpated from other ecosystems on the continent. The Flathead valley and neighbouring Waterton lakes national park are “so far the only study areas in North America that contain all major bear foods found across the interior of the continent” (McLellan and Hovey, 1995). Of particular importance are the two major berry species that grizzly bears consume in the southern interior of BC; black huckleberry (Vaccinium membranaceum) and Buffaloberry (Shepherdia canadensis) are both present in the study area.